The word limit for abstract of the paper is 250 words. The word limit for full paper including footnotes is between 4000 and 5000 words. Footnotes must be used instead of end notes. The main text of the paper must be in Times New Roman font, font size 12, 1.5 line spacing. Footnote size must be 10 and footnote line spacing 1.0. The headings and subheadings may be in any other appropriate font type and font size. The citation format is the Oxford Standard for the Citation of Legal Authorities (OSCOLA) 4thedition available HERE. Submissions are to be made in .doc or .docx formats. .pdf or any other format is not acceptable. The author’s biography including name, affiliation, contact details are to be mentioned in the first page of the paper. Co-authorship up to two authors is allowed. There shall not be any change in authorship after submission of abstracts. Submissions should be sent to [email protected] with the e-mail subject ‘National Conference – Submission’. The last date for submission of abstract is 12 of August. Intimation on selection of the paper shall be made by 17 August. The last date for submission of the full paper is 10 September. Last date for submission of abstract – 12 August 2014. Intimation on selection of the paper – 17 August 2014. 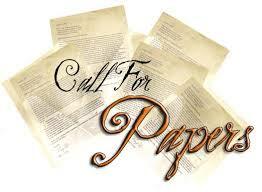 Last date for submission of the full paper – 10 September 2014. Students of ILS Law College – Rs 100. Students of any other educational institution – Rs 200. Delegates other than students (including faculty, lawyers) – Rs 1000. The amount may be paid in the College Office in cash or by Demand Draft in the name of “Principal, ILS Law College” from any nationalized bank payable at Pune. The registration fee of student participants shall cover reading material and refreshments. The registration fee of the delegates other than students shall cover the reading material, refreshments and lunch. Participants shall bear their own costs for travel and accommodation. However, for any assistance in finding the same student coordinators may be contacted. Certificates of attendance will be issued to all participants who attend the seminar. Certificates for presenting papers will be given to those presenters whose papers are selected, if they attend the seminar and present that paper.